Mol-Son will coordinate and support the entire product engineering process from product concept through validation. Our engineering staff tracks the product throughout the validation process to ensure all testing requirements specified by the customer are met. Mol-Son can provide engineering support for issues relating to the use of the product throughout the entire life cycle. We can provide rapid prototypes such as Sterolithography (SLA) and Selective Laser Sintering (SLS) models, plus machined parts. Mol-Son uses 3D solid modeling for product design. 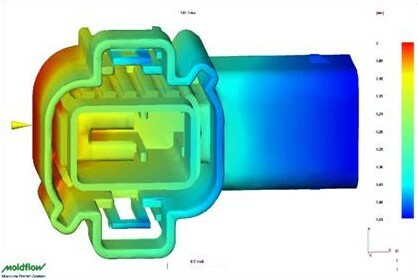 Our product design analysis capabilities include FEA software for linear and non-linear stress/strain analysis and a Moldflow part-fill analysis. All products are designed following the design for manufacturing (DFM) process that includes product function, tooling, molding, and assembly considerations.